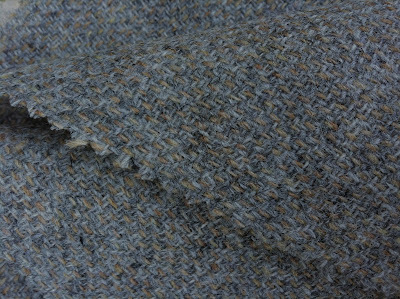 We’ve had so many requests for the Permanent Style Tweed that it has become economic to weave a sample length. You can see the cloth here – it has turned out as I expected, which is a relief, with variation both in the tone of the grey and created by the bracken woven in. At a distance, it is simply a mid-grey with some nice surface detail. Up close you can see the colours and the broad herringbone pattern is almost indiscernible. All orders for the tweed must be in by January 10, which is when Breanish‘s weavers are back at their stations and will begin work on this cloth. If there are enough orders after this date, however, we will look at a second run. There are swatches of the tweed available now, requested by emailing Iain at info@breanishtweed.co.uk and in the US through Jodek at info@jodekinternational.com. Graham Browne in London also has a couple of swatches, so feel free to pop in there for a look. Obviously time is running short for receiving a swatch and putting in an order by January 10 though. More information available on the Permanent Style Tweed and Breanish at the links above. 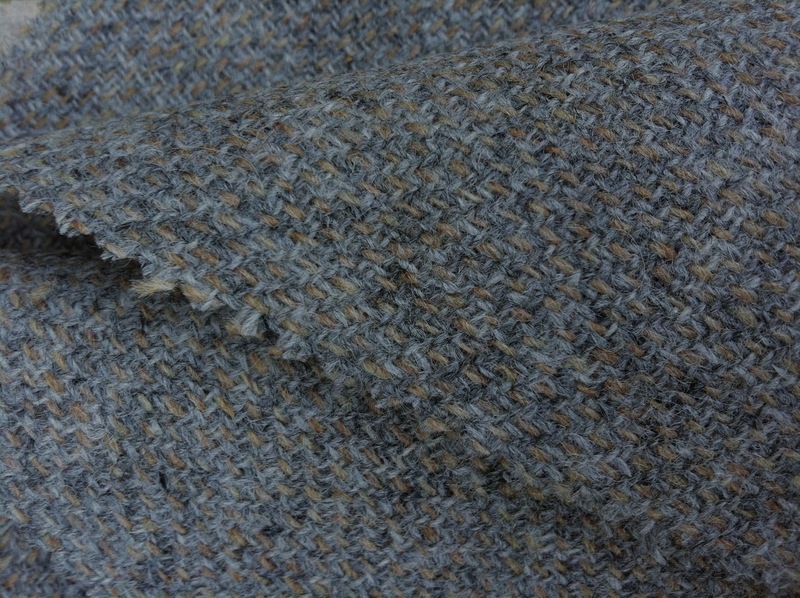 You can follow the discussion on Permanent Style Tweed: Sample by entering your email address in the box below. You will then receive an email every time a new comment is added. These will also contain a link to a page where you can stop the alerts, and remove all of your related data from the site. Hello Simon, fantastic blog. I like it a lot. Discovered it a few days ago and learning a lot. Many thanks for writing it! Was interested in this tweed and, as I am based in NY, checked with Jodek for a sample, but doesn’t look like they have any available yet. Was emailed that they hope to get a swatch in like 2/3 weeks. You have January 10th deadline for orders, is this correct? Yes, the first deadline is January 10 – the get the February delivery we initially talked about. But I’m sure we’ll have enough orders after that to do another run, so don’t worry. It might just be a question of time. Talk to Jodek as well – they will have a good idea of how many requests they’ve had and therefore how big a second US order would be. I just received my sample and it is lovely, much lighter in colour than the picture above. It’s also softer than I was expecting, more so than my other tweed coat. The herringbone pattern is very subtle, only visible close up, but does add to the visual texture at distance. I’ve uploaded a different pic to http://cl.ly/D7gX – with some plain white paper and a black leather background to give a better idea of the colour. What is everyone else planning to have made? I suspect that like most I’m planning a jacket from this to go with jeans, cords & casual trousers for the weekend or less dressy office days. I was tempted to go for a suit, but then I spend this months budget on a 3 piece in Marling & Evans cashmere in the Graham Browne sale – http://cl.ly/D7Wo. Rob, when I spoke to Graham Browne about the tweed they thought £300-350 to make the jacket up, which with the cost of the fabric puts it around £700. Simon, many thanks for arranging this. It’s great fun, lovely material and the folks at Breanish are a delight to deal with. GB, that makes the whole venture very affordable. Jimmy – I must admit I was tempted with the suit idea. Perhaps next autumn I may see about getting another of their tweeds in a suit. Read the first piece on Permanent Style Tweed, linked to in the piece above. Are there any plans for another run of PS tweed? Thanks, Simon. Definitely of interest.